Located in one of Covent Gardens most sought after positions this prestigious development comprises some 51 flats with a mix of 1, 2 and 3 bedroom units and 5 penthouses ( 4 of them duplex in design ). There are 19 private parking bays in the underground car park for those residents whose properties were allocated a space when they were first sold. The original building was developed in 1916 as a Tobacco Warehouse constructed of steel frame with loadbearing masonry external walls supporting concrete cased steel floor beams and filler joist / brick aggregate concrete floor slabs. The filler joists being typically supported on continuous shelf angles fixed to the main beams. The last element constructed was an office building in 1936 which was constructed of a steel frame supporting a hollow tile floor slab. The junction between the two structures consists of the perimeter stanchions being abutted to the 1916 masonry walls. Wilmott Dixon were appointed in May 1999 as Principle Contractor for the conversion on the buildings current use and the work was completed in December 2000. 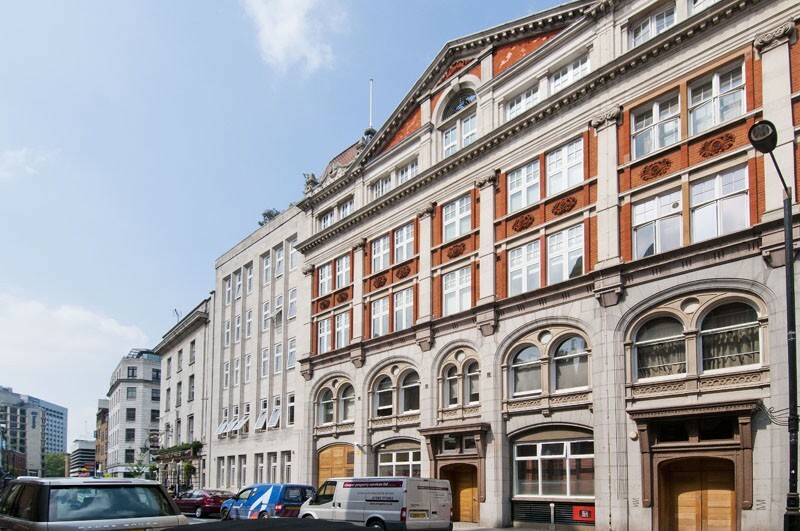 The development is managed by the owners of the flats themselves who have formed Drury Lane Management LTD. 5 Directors look after the day to day running of the building along with building manager Anthony whose intimate knowledge of the building has proved invaluable over the years. The residents of the building enjoy a share of the freehold and the flats have 999 year leases. The property spans the corner of Drury Lane and Great Queen Street and Wild Street (where there is separate entrance) and some of the flats enjoy a view over the recently created Great Queen Street Piazza and the adjacent and spectacular Freemason's Hall which is the headquarters of the United Grand Lodge of England. Covent Garden Piazza is within a short walk along with the myriad playhouses of Covent Garden's Theatre land. The Royal Opera House and Covent Garden underground station are also close to hand. Do you live in 145 Drury Lane?